Chicago Madison & Northern engine 564 exits the south portal of the tunnel between Monticello and Belleville, February 20, 1981. This picture was taken by Richard Kundert. It appeared on the cover of the June 1983 issue of Trains Magazine. If a picture is worth a thousand words, than this is it. It depicts a time in history that can't be replaced. 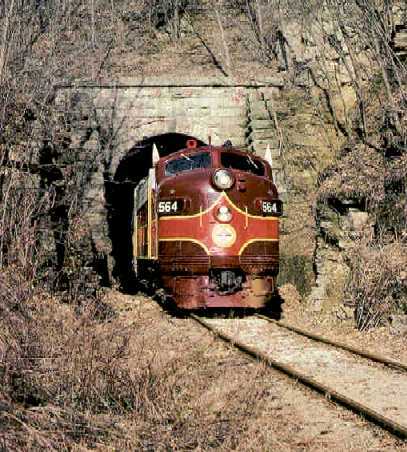 How wonderful it would be to see trains move through this tunnel again (the way it was meant to be).